Most people have a routine when it comes to their morning coffee. Make your brand part of that routine with a customized wholesale travel mug. Since we work with the factory we are able to pass our savings along to you and offer quality products that market your company at a reasonable price. Once imprinted with your logo our 16 oz. 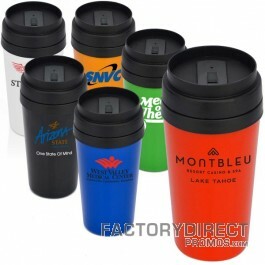 infinity custom biodegradable mugs will remind your customers and everyone they encounter about your brand and message. 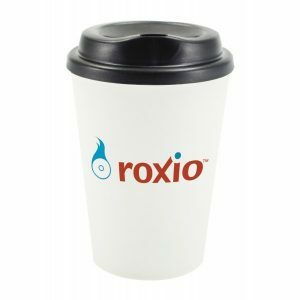 Our custom reusable coffee mugs are also biodegradable so these mugs spread the word that your company cares about and works to protect the environment.